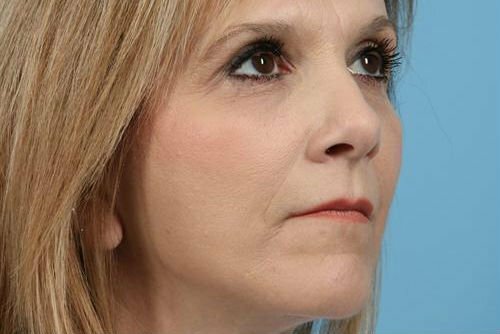 Adam C. Augenstein, MD performs brow lift surgery in Charlotte to help women and men look younger by improving the appearance of the forehead and position of sagging or drooping eyebrows. Small incisions hidden in the hairline are used to help reposition the eyebrows and open up the eyes back to a more natural look. Dr. Augenstein believes in those natural results, not the overdone or surprised look. 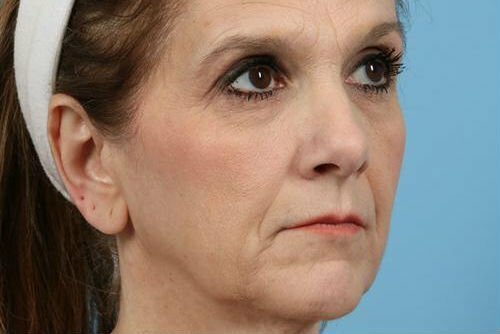 Each patient is different, and he will discuss your unique anatomy and recommend the appropriate approach for your eyebrow lift—from endoscopic or minimally invasive to pre-hairline brow lifts in patients with long foreheads. A typical procedure takes about one to two hours, and the recovery time is about a week. A brow lift can be and is often combined with other facial rejuvenation procedures, including a eyelid surgery and a facelift, to minimize overall downtime and optimize results.